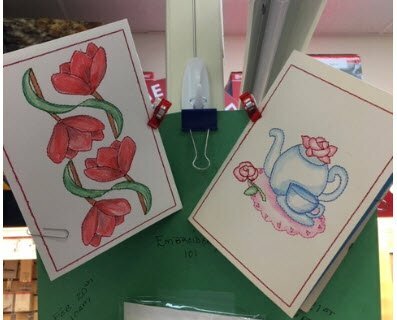 Create a greeting card with your embroidery machine! Then use watercolor pencils to color in the design. Bring USB stick for designs.